Volkswagen easily maintained its position at the top of the list of best-selling car manufacturers and brands in Switzerland in 2010. VW was followed by Renault and Audi as Swiss favorite car brands. 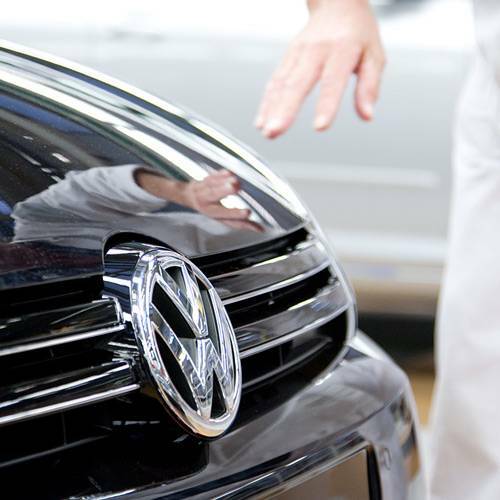 Volkswagen remained Switzerland’s favorite car brand in 2010 by selling the same number of cars as second placed Renault and third placed Audi combined. The Swiss car market had its best performance since 2002 by selling 294,239 cars in 2010 – an increase of 10.6% over 2009. Most car makers had a good year in Switzerland in 2010 with only Honda showing significant weakness. The Volkswagen Golf easily remained the Swiss’s favorite car model. In 2010, the Swiss car market grew by just over 10% to 294,239 new passenger vehicle registrations – an increase of 10.6% for the strongest performance since 2002. Of the top ten makes, only Audi and Toyota failed to show double-digit increases. Volkswagen easily remained the best-selling car brand in Switzerland in 2010. Renault replaced Audi as Switzerland’s second most popular car brand. Opel gained two positions after a dismal 2009. BMW maintained its fifth position with increasing sales while Ford slipping back from fourth. Citroen entered the top-ten list at the expense of Mercedes Benz. Japanese car manufacturers generally had a weak year in Switzerland in 2010 with a decline in sales despite the stronger market overall. Toyota, Subaru, Mazda, and Honda showed losses but Nissan (+33.5%) and Suzuki (+9.1%) both showed significant increases in the number of cars sold. Korean manufacturers Kia and Hyundai continue to sell more cars in Switzerland.